Israel has now confirmed that it attacked and destroyed the Gaza Channel that stretches into Egypt. According to the Israeli military, the tunnel was made by the Hamas, which is a terrorist group that has a major influence in the Palestine complex. The attack was carried out on Saturday, when the Israeli jets bombed an area that was situated at the east of the southern town of Rafah, and it was witnessed by various residents of Gaza. The reports of the attack were then confirmed by the Israeli army as well. Israeli military spokesman Colonel Jonathan Conricus has stated that the tunnel was bombed because it was a terror tunnel that ran underneath strategic facilities. By strategic facilities, he was referring to the gas pipelines that were connected and ran over it and made a space through which the tunnel had been dug up, creating a space for the terrorists. 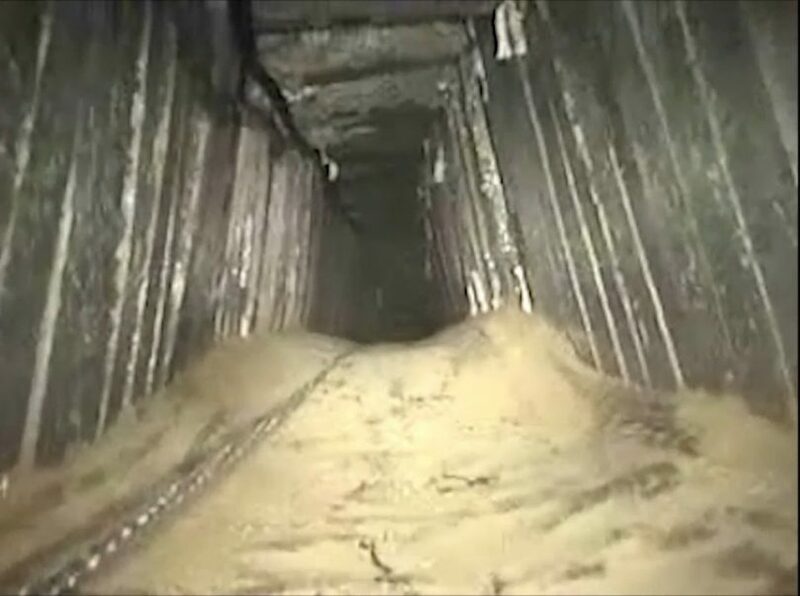 The tunnel was reported to be 1.5 km long (about one mile), and going down 80 meters (260 feet), underneath the Kerem Shalom border that crossed into Israel and then flowed into Egypt. Conricus also said that the tunnel could have also been utilized for the purpose of transferring terrorists from Gaza to Egypt, from where the targets could have been killed. The escalation of violent attacks has been caused because of Donald Trump’s decision to recognize Jerusalem as the capital of Israel. This has racked the nation and caused the Palestinians, who reside in Gaza to launch 18 cross-border rockets, which has claimed the lives of 15 protesters and two gunmen. In another report, the Prime Minister of Israel, Benjamin Netanyahu has come to India, to visit, Narendra Modi, as a sign of the ongoing friendship between the two nations. PM Modi broke protocol today, and personally recieved Netanyahu and his wife at the airport.